Francisco Casillas Liriano...Wife's name is Johanna...Has four children; sons Kevin (4/4/08) and Francis (6/8/10) and daughters Natasha (12/12/13) and Natalie (4/10/15)...Is a 1999 graduate of Americo Pere High School in the D.R. Spent season with Detroit...Held left-handed batters to a .170 (15-for-88) average...Picked up a win in his first start on 4/2 vs. Kansas City and went 3-1 with a 2.97 ERA (36.1ip/12er) in his first six starts thru 5/4...Lost a career-high eight straight decisions from 5/26 thru 8/22... Was placed on the 10-day disabled list on 5/30 (retro to 5/27) due to a right hamstring strain...Made rehab start with Triple-A Toledo on 6/17 vs. Louisville before being reinstated on 6/23...Made his lone relief appearance on 7/29 vs. Cleveland and tossed 2.0 scoreless innings...Gave up Giancarlo Stanton's 300th career homer on 8/30... Picked up his last win on 9/16 at Cleveland...His final start on 9/27 at Minnesota was the 300th of his career; became the eighth Dominican-born pitcher and the 16th active pitcher to make 300 starts in the Majors...Went 0-for-1 with a sacrifice bunt as a batter; both plate appearances coming on 7/4 at Wrigley Field. On August 1, the Pirates traded Liriano along with Reese McGuire and Harold Ramírez to the Toronto Blue Jays in exchange for Drew Hutchison...Made his debut with the Blue Jays on August 5, pitching six innings against the Kansas City Royals and yielding two earned runs in a 4-3 win...Made eight starts and two relief appearances with the Blue Jays in the regular season, and posted a 2-2 record, 2.92 ERA, and 52 strikeouts in 49 .1 innings...Appeared in relief Sept. 2 vs. TB, his first appearance out of the bullpen since Sept. 11, 2012…Would make one other regular season outing in relief on Sept. 5 at NYY...Collected six quality starts in his eight starts with TOR, while allowing more than three earned runs only once…Had seven quality starts in his 21 starts with the Pirates in 2016...In the Wild Card game vs. BAL, entered in relief in the 10th inning and retired all five of the batters he faced...He recorded the win after Edwin Encarnación's walk-off home run in the 11th inning...During the 8th inning in the second game of the ALDS, Rangers outfielder Carlos Gómez hit a 102-mph line drive single that struck Liriano near the back of the head...Was taken to a local hospital for examination, and cleared to return to Toronto...Was placed on the seven-day DL (concussion) following the game...Was activated from the DL prior to game two of the ALCS, but did not appear in any games in the series...His 85 walks ranked 2nd in MLB behind Jimmy Nelson of MIL (86) …Posted a BB/9 of 2.92 while with the Blue Jays compared to a 5.46 BB/9 ratio with PIT. Made a career-high tying 31 starts (also in 2010 with Minnesota) and set career high in strikeouts (previous high was 201 in 2010)... Led Pirates staff in strikeouts and ranked ninth in the National League in that department...Held opponents to a .220 batting average, the fifth-lowest mark among N.L. starting pitchers...His 2.27 ERA on the road was the fourthlowest in the league behind Jake Arrieta (1.60), Zack Greinke (1.88) and Max Scherzer (2.20)...Became just the third LHP in club history to record at least 200 strikeouts in one season, joining Bob Veale (four times) and Oliver Perez (in 2004)...Posted six games with 10 or more strikeouts, which included a season-high 12 on 5/24 vs. New York (NL) and 6/15 vs. Chicago (AL)...Was Pittsburgh's Opening Day starter - his second straight O.D. start and the third of his career (also with Minnesota in 2009)...Returned home to the Dominican Republic for the birth of his daughter, Natalie, on 4/10...Was on Paternity List and missed scheduled start on 4/12; start was moved back three days until 4/15...Made his 200th career start on 4/26 at Arizona; walked a season-high six batters but gave up just two hits in the 8-0 victory (6.1ip)...Struck out 23 batters in consecutive starts (12.0ip) on 5/24 (12) and 5/29 (11)...Allowed two hits, walked one and struck out 12 in eight scoreless innings as the Pirates blanked the White Sox (11-0) on 6/12; only one other Pittsburgh pitcher in the modern era (since 1900) has struck out a dozen batters in a game while allowing three or fewer batters to reach safely via hit, walk, or hit-by-pitch (Bert Blyleven struck out 12 without issuing a walk in a three-hit shutout of the Expos on 8/16/80)...Was on the losing end of Max Scherzer's no-hitter on 6/20 at Washington...Had a two-run single on 7/12 vs. St. Louis; his first career multi-RBI game and first RBI overall since 7/5/13...Ranked third in the N.L. at the All-Star break with a .192 opponents batting average against...Missed his scheduled start on 7/18 at Milwaukee due to tightness in his neck...Went 5-0 with a 3.27 ERA (52.1ip/19er) and 51 K's in nine starts from 7/2 thru 8/23... Connected off Mat Latos for his first Major League home run (and extra-base) on 8/8 vs. Los Angeles; also had a career-high three RBI in the game...Went 2-for-3 with a double on 9/8 at Cincinnati...The Pirates won 16 of his last 17 starts, including 11 straight from 6/26 thru 8/28...Went 8-1 with a 3.48 ERA (98.1ip/38er) in his final 17 starts...Went 11-for-65 (.169) with two doubles, a homer and seven RBI at the plate; hit .320 (8-for-25) with two doubles, a home run and five RBI in his last 11 starts..His seven RBI were the most by a Pittsburgh pitcher since Zach Duke had seven in 2006. Posted the second-highest season strikeout total and made the second-highest amount of starts in his big league career (2014 totals trailed only the 201 K's and 31 starts in 2010)...His .218 batting average against was the third-lowest among N.L. starters behind Johnny Cueto (.194) and Clayton Kershaw (.196)...Also ranked third in the league with a 9.7 strikeouts/per 9.0ip ratio, trailing only Kershaw (10.8) and Stephen Strasburg (10.1)...Posted career highs in walks and wild pitches... Was Pittsburgh's Opening Day starter - his second career Opening Day start (also with Minnesota in 2009)...Pitched 6.0 scoreless innings and tied club record (fourth time) with 10 strikeouts on Opening Day...Suffered first loss in his second start on 4/5 vs. St. Louis (6.0ip/4er); also snapped an 0-for- 28 streak at the plate with a single in his second at bat...Left his start on 4/26 at St. Louis due to dizziness and flu-like symptoms after 2.0ip; it was also his 200th career game in the big leagues...Received five straight nodecisions between 4/21 and 5/14...Lost each of his first five decisions before winning his first game on 5/30 at Dodger Stadium (5.2ip/0r)...Gave up just one hit, but walked a season-high six batters while losing a 3-2 decision on 6/4 at San Diego (5.0ip/3r/2er)...Left his start on 6/10 vs. Chicago after 3.0 innings with discomfort in his left side; was placed on the 15-day D.L. on 6/11 with a strained left oblique...Threw a 30-pitch bullpen session at PNC Park on 6/26 and a 73-pitch simulated game at PNC Park on 7/2...Made a rehab start with Triple-A Indianapolis on 7/7; gave up three hits and struck out eight batters while pitching 6.0 scoreless innings (76 pitches/53 strikes)... Was recalled from rehab and reinstated from D.L. on 7/13; tied season high with six walks and suffered a 6-3 loss in Cincinnati that day (4.0ip/3er)...Won back-to-back starts on 7/23 vs. Los Angeles (NL) and 7/29 at San Francisco... Surrendered two runs or less and recorded a 1.89 ERA (38.0ip/9r/8er) over a six-start stretch from 7/18 thru 8/14...Gave up a season-high 10 hits and nine runs (seven earned) while losing an 11-3 decision to the Braves at PNC Park on 8/19...Rebounded with 6.0 scoreless frames in his next start on 8/25 vs. St. Louis...His win on 9/6 at Chicago (NL) was his first since 7/29... Pitched 8.0 shutout innings and struck out a season-high 12 batters on 9/11 at Philadelphia; only one other Pirates pitcher in the modern era has pitched 8.0-or-more shutout innings with at least a dozen strikeouts in a start on the road (Bob Veale, who did it four times, once in each season from 1964 to 1967)...Had a 20.0-inning scoreless streak from 8/31 to 9/17 and allowed just one run in 28.0 innings between 8/31 and 9/22...Went 4-0 with a 1.16 ERA (31.0ip/4er) in five starts during the month of September; ranked fourth in the National League in ERA during the final month...Gave up two runs or less in 12 of his 14 games after the All-Star break...Went 5-for-45 (.111) with two walks and five sacrifice bunts at the plate; singled and scored his first big league run in his last start on 9/27 at Cincinnati. 2013 SEASON: Was named the National League Comeback Player-of-the-Year by Major League Baseball, The Sporting News and the MLBPA...Was also named the team's Most Outstanding Pitcher by the BBWAA local chapter...Began season on 15-day disabled list recovering from a right humerus fracture, suffered in December...Made first rehab start with High-A Bradenton on 4/15 and threw 40 pitches in 3.0 hitless innings of work (six K's)...Had rehab transferred to Double-A Altoona, where he threw 67 pitches in a loss on 4/20 at Harrisburg (2.2ip/4er)...Made final three rehab starts with Triple-A Indianapolis on 4/25 vs. Lehigh Valley (5.0ip/4h/1r/1er/0bb/8so - 79 pitches), 4/30 vs. Gwinnett (6.0ip/4h/1r/1er/0bb/9so - 82 pitches) and 5/5 at Lehigh Valley (5.0ip/7h/4r/4er/1bb/6so - 98 pitches)...Was recalled from rehab and reinstated from D.L. on 5/11...Made first start with the Pirates that afternoon in New York (NL) and struck out nine batters while giving up one run in 5.1 innings in an 11-2 victory; became the first Pittsburgh pitcher since Tim Wakefield on 7/31/92 to earn a win while whiffing nine or more batters in his first start with the club...Struck out nine batters and gave up two hits in 7.0ip while winning third straight start on 5/22 vs. Chicago (NL)...Became just the second Pittsburgh pitcher over the last 95 seasons to win each of his first three starts and allow one run or less (also Dave LaPoint, who accomplished the feat in his first three starts with the Pirates after joining the team in a trade with the White Sox in August of 1988)...Suffered first loss on 5/27 at Detroit (5.0ip/4er); a 6-5 decision to Justin Verlander...Struck out 11 batters, including a club record tying seven in a row, but lost a 2-0 decision vs. Cincinnati on 6/1...Went 45.2 innings without allowing a home run until surrendering his first one on 6/17 at Cincinnati...Improved to 7-3 with his win on 6/29 vs. Milwaukee; since 1950 only one other pitcher won at least seven games in his first 10 starts with the Pirates (Kip Wells was 7-2 thru 10 starts in 2002)...Tossed his second career complete game in a 6-2 victory at Chicago (NL) on 7/5...Won his fourth straight start in final outing prior to the All-Star break on 7/19 vs. Oakland...Went 9-3 with a 2.00 ERA (76.2ip/17er) in 12 starts before the break...Took a no-hitter into the sixth inning and pitched 7.2 scoreless frames while beating Stephen Strasburg, 4-2, and winning his 10th game on 7/24 in Washington...Became the first Pirates pitcher to win at least 11 of his first 15 appearances since LHP Earl Hamilton also had 11 wins through his first 15 games for the Bucs in 1918 and 1919...Was named National League Player-of-the-Week for the week of 7/29-8/4 after going 2-0 with 0.64 ERA (14.0ip/1er) in two starts...Gave up a career-high 12 hits and 10 runs in a 10-1 loss at Colorado on 8/9 (2.1ip)...Rebounded by throwing his second complete game of the season on 8/14 at St. Louis; threw just 94 pitches in the 5-1 victory...Struck out season-high 13 batters while pitching 7.0 scoreless innings on 8/19 at San Diego - the 13 K's were the most by a Pittsburgh pitcher since lefty Oliver Perez struck out 14 on 9/9/04...Received his first no-decision in his 23rd start on 9/15; became the first Pirates pitcher since Larry French in 1930 to record a decision in each of his first 22 starts of a season (French received a decision in each of his first 24 starts in 1930)...Went 8-1 with a 1.47 ERA (73.2ip/12er) in 11 starts at PNC Park...Held left-handed batters to a .131 (17-for-130) average and zero homers. 2013 POSTSEASON: Was the starter and winner in the Wild Card Game vs. Cincinnati on 10/1; also singled off Johnny Cueto in his first at bat...Received a no-decision in Game Three of the N.L.D.S. vs. St. Louis on 10/6; also walked and had a sac bunt at the plate. Went 6-12 with a 5.34 ERA (156.2ip/93er) in 34 combined games (28 starts) between Minnesota and Chicago (AL)...Began season in Twins' starting rotation and went 0-5 with a 9.45 ERA (26.2ip/30r/28er) in his first six starts thru 5/7...Moved to bullpen and made four straight outings (4.2ip) without allowing an earned run from 5/14-25...Was charged with four runs in 2.2 innings of relief on 5/25 vs. Detroit...Returned to starting rotation and pitched 6.0 scoreless innings while winning his first game on 5/30 vs. Oakland...Posted a 1.87 ERA (31.1ip/10er) in five starts during the month of June...Struck out career-high 15 batters on 7/13 vs. Oakland and followed that up with his 11th career game with 10-or-more strikeouts on 7/18 vs. Baltimore (10)...Made final start with Twins on 7/23 at Chicago (AL) and was charged with seven earned runs in 2.2ip; also gave up lone home run (sixth career) to a left-handed batter (Adam Dunn) on 7/23...Was acquired by the White Sox in exchange for two minor league players on 7/28 and made first start for Chicago in Minnesota on 7/31 (6.0ip/2r)...Recorded 800th career strikeout on 8/5 at Los Angeles (AL)...Won back-to-back starts on 8/16 and 8/21...Tied career-high with seven walks on 9/1 at Detroit...Made relief appearance on 9/11 vs. Detroit and failed to retire a batter (2r)...Gave up just one hit and two runs in 7.0ip while winning his final decision on 9/15 at Minnesota. Was the Twins number two starter to open the season, making his first start, allowing four runs on four hits in 4.1 innings while suffering the loss, April 2 at Toronto...Earned his first win, allowing two runs on five hits in 6.1 innings pitched, April 18 at Baltimore...snapped a personal six-game losing streak that spanned to September 19, 2010...Pitched the first no-hitter of 2011, the 263rd in MLB history, and fifth in Twins history, May 3 at Chicago (AL)...it marked the third no-hitter thrown at U.S. Cellular Field (previous two by Mark Buehrle)...it was the 13th time the White Sox had been no-hit in franchise history, the first since Bret Saberhagen on August 26, 1991, and first at home since Jack Morris did it on April 7, 1984 at old Comiskey Park...it was Liriano's first career complete game and shutout....his 9.13 ERA entering the start was the highest for any pitcher coming into a start in which he threw a no-hitter (minimum of five starts)...the previous high was St. Louis' Jose Jimenez' 6.69 ERA when he threw his no-hitter, June 25, 1999 against Arizona...Liriano's mound opponent, Edwin Jackson, threw a no-hitter in 2010...Liriano became the first pitcher in Major League history to throw a no-hit game against an opposing starter who had thrown a no-hitter the season before...he became just the second left-handed pitcher to throw a no-hitter against the White Sox in Chicago with the other being Jesse Tannehill for Boston in 1904...he walked six and struck out two, becoming the second pitcher since 1900 with four more walks than strikeouts (Pittsburgh's Cliff Chamber walked eight and struck out four when he no-hit the Braves in 1951)...his two strikeouts were the fewest for a pitcher in a no-hitter since the Dodgers' Jerry Reuss struck out two Giants in his no-hitter in 1980...Liriano became the fifth pitcher born in the Dominican Republic to throw a no-hitter, the others being Juan Marichal (1963), Ramon Martinez (1995), Jose Jimenez (1999) and Ubaldo Jimenez (2010). (Credit Elias Sports Bureau)...He was named AL Co-Player of the Week with Detroit's Justin Verlander for the period ending on May 8...they became the first pair of pitchers to toss no-hitters within a five-day span of each other since Florida's Al Leiter and the Yankees' Dwight Gooden did it in May of 1996...Set a season-high with nine strikeouts, May 17 at Seattle...matched that mark three starts later, June 12 vs. Texas...Recorded his 600th career strikeout, fanning Daniel Hudson in the second inning, May 22 at Arizona...gave up a home run to Juan Miranda in that start - the first homer he allowed to a lefty since Opening Day, April 6, 2009 vs. Seattle (Ken Griffey, Jr.)...Placed on the 15-day disabled list with left shoulder inflammation, May 30...reinstated June 7...Went 2-1, 2.52 (25.0 ip, 7 er) in four starts in May...Surpassed 600.0 innings for his career, June 7 at Cleveland...Recorded a career-high with seven walks, becoming the first Twin to walk seven since Boof Bonser (April 26, 2007), August 9 vs. Boston...Placed on the 15-day disabled list with a left posterior shoulder strain, August 25...reinstated, September 16...made two relief appearances to finish the season. Started the season as the Twins' number five starter, making his first start, allowing three runson four hits in 6.0 innings (no-decision), April 9 at Chicago (AL)...Recorded first win, tossing 7.0 scoreless innings, April 15 vs. Boston...Was named the American League Pitcher of the Month (first career honor) for April, going 3-0,0.93 ERA (29.0 ip, 3 er), with 18 hits allowed...he was the only pitcher in the American Leaguewith a sub-1.00 ERA for the month...Posted a 23.0 scoreless inning streak from April 15-May 2, becoming the second Twins startingpitcher since 1993 to post a streak of that length (Johan Santana - 33.0 consecutive scorelessinnings in 2004)...Struck out 10 batters, June 5 at Oakland, then 11 batters, June 11 vs. Atlanta, becoming the first Twins pitcher since Johan Santana (May,2007) to post consecutive 10-plus strikeout games in one season...Tied a club record for most consecutive strikeouts (7), June 11 vs. Atlanta...struck out seven consecutive batters between the third and fifthinnings to tie the club mark set by Jim Merritt, July 21, 1966...Finished the first half with the fourth-most strikeouts in the American League (117)...also held left-handed batters to a .188 average(fifth-best among American League left-handed starters), with no walks...Posted a 21.0 consecutive scoreless innings streak, July 21-August 1...won all three starts during that span, allowing 11 hits with 25 strikeouts...Recorded 500th career strikeout (Mike Aviles), July 26 at Kansas City...Earned his 10th victory, tossing 7.0 shutout innings allowing two hits, 11 strikeouts and two walks, as the Twins set a season-high withtheir eighth consecutive victory, August 1 vs. Seattle...Reached 500.0 career innings pitched, August 12 at Chicago (AL)...Did not allow a home run in 96.1 consecutive innings pitched, May 20-August 18...it was the second-longest streak in Twins history, behindBert Blyleven's 99.0 innings from 1974-1975...Set a career-high with his 25th start of the season, August 26 at Texas...Had career-high eight-game winning-streak, July 16-September 14...streak snapped, September 19 vs. Oakland...it was his first losspost-All-Star break...the streak tied Pavano for the longest win-streak by a Twins pitcher in 2010...Set a single-season career-high with his 30th appearance, September 24 at Detroit...Struck out his 200th batter, September 30 vs. Toronto...it marked the 20th time in club history in which a pitcher struck out 200-plus ina season and he became the seventh different pitcher to do so (Blyleven - 6, Santana - 4, Pascual - 4, Chance - 2, Kaat - 2, Boswell - 1)...Pitched 7.0-plus innings in 16 of his 31 starts (11-1)...Pitched 6.0-plus innings in 22 starts (13-4)...Allowed just nine home runs all season, with just two coming in his first 23 starts, April 9-August 12...his nine home runs allowed werethe fewest for a pitcher with a minimum of 190.0 innings pitched since New York's Chien-Ming Wang in 2007, who also allowed nine in199.1 innings...Faced 172 left handed batters on the season, allowing just 43 of them to reach base (36 hits, four walks and three hit by pitch)...Started five of the Twins 13 shutouts on the season: April 15 vs. Boston, April 21 vs. Cleveland, April 27 at Detroit, July 21 vs. Clevelandand August 1 vs. Seattle...His 20 quality starts were twice as many as his previous career-high (10 in both 2006 and 2009)...Was named the American League Comeback Player of the Year, becoming the first Twin to win the award...Became just the fifth different pitcher to strike out 200-plus batters and allow nine-or-fewer home runs in a season...the other include:Kevin Brown in 1998, Roger Clemens in 1997 and 1990, Dwight Gooden in 1984 and Pedro Martinez in 1999 and 2003. Was the Twins' Opening Day starter for the first time in his career, April 6 vs. Seattle...lost each of his first four starts, posting an ERA of7.06 (21.2 ip, 17 er) in those starts...won back-to-back starts, tossing 7.1 innings on May 4 at Detroit, allowing two runs on four hits and nine strikeouts, May 4-9...won consecutive starts, June 23 at Milwaukee and June 28 at St. Louis...recorded his fifth win of season, allowing one run on three hits in 7.0 innings, August 12 vs. Kansas City...placed on the 15-day disabled list with left arm fatigue, August 18...reinstated, September 9...pitched in six games (one start) upon his return, going 0-1, 5.79 (9.1 ip, 6 er). Made one start at Single-A Ft. Myers before being promoted to Triple-A Rochester, April 4...recalled April 12...was 0-3, 11.32 in three starts before being optioned to Rochester, April 25...named International League Pitcher of the Week, June 30-July 6, going 2-0, 0.00 with just seven hits allowed in 13.0 innings with 16 strikeouts...pitched 26.2 consecutive scoreless innings from June 30-July 17...went 5-0, 1.21 (34.0 ip, 5 er) with five walks and 42 strikeouts in five July starts at Rochester and named the Topps' Player of the Month...went 10-0, 2.67 (70.2 ip, 21 er) in his last 11 starts...struck out a total of 51 batters in his final six starts...recalled on August 1 and made a start in place of Livan Hernandez on August 3 vs. Cleveland, earned the win by tossing 6.0 shutout innings, giving up just three hits, walking three and striking out five...finished the month of August with the second lowest ERA (1.23) in the Majors (minimum of five starts), behind CC Sabathia's 1.12 and the fourth lowest batting-average-against with .191...season-high nine strikeouts on September 5 vs. Detroit...pitched 8.0 innings on September 11 vs. Kansas City, getting the no-decision after allowing two runs on six hits...earned his sixth win of the season and extended his personal six-game win-streak, tossing 7.0 innings allowing just one run on five hits, September 21 at Tampa Bay...pitched 7.0-plus innings in four of his last six starts...held lefthanded batters to a .217 batting average with one home run while righties hit .266 with six home runs...posted a record of 4-2, 2.76 (42.1 ip, 13 er) in seven home starts while 2-2, 5.35 (33.2 ip, 20 er) in seven road starts...seven quality starts in 14 chances...led the Twins' organization in wins (16), strikeouts (188), innings pitched (199.1) and starts (34). Missed entire season recovering from "Tommy John" surgery on left elbow. Did not allow a run in 6 of 7 appearances (all in relief), going 1-0, 0.79 (11.2 ip, 1 er), April 5-25 . . . was 0-0, 2.25 (8.0 ip, 2 er) in 4 relief appearances, May 3-13 . . . won 3 consecutive starts, going 3-0, 0.56 (16.0 ip, 1 er), May 19-31 . . . went 3-0 with a 1.13 ERA ( 24.0 ip, 3 er) and 26 strikeouts in May . . . had career-high 6-game win-streak, going 6-0, 1.23 (44.0 ip, 6 er), June 11-July 8 . . . had first career 10-plus strikeout game (11), June 16 at Pittsburgh . . . named American League Rookie of the Month for June and July, becoming the second player in history to win the award in consecutive months (Ichiro Suzuki, 2001) . . . second career 10-plus strikeout game (12), July 2 vs. Milwaukee . . . was named to his first All-Star game after going into the break with a record of 10-1 and a 1.83 ERA . . . he became just the second rookie to head into the All-Star break with at least 10 wins and a sub-2.00 ERA, the other was Jerry Koosman of the Mets in 1968 (11-4, 1.94). . . third career 10-plus strikeout game (10), July 23 at Cleveland . . . tied career-high 12 strikeouts (fourth career 10-plus strikeouts game), July 28 vs. Detroit . . . disabled with strained ulnar collateral ligament in left elbow, August 10-September 11 . . . made a rehab start in Rochester's first round playoff game September 9 . . .did not allow a hit or a run in 3.0 innings while striking out 4 and walking one, he tossed 40 pitches . . . made a start September 13 vs. Oakland and lasted just 2.0 innings after experiencing pain in his left elbow . . . was shut down for the rest of the season . . . finished the season allowing just one home run to lefties with a .202 BAA . . . set the Twins all-time rookie strikeout record with 144, breaking Bert Blyleven's mark of 135 in 1970 . . . ranked among Major League leading rookies in strikeouts (1st), ERA (2nd), wins (2nd), batting average against (2nd) and innings (5th). Began season at New Britain . . . had 11 strikeout game, April 18 vs. Reading . . . was 0-1, 2.57 (28.0 ip, 8 er) in 4 starts, May 4-21 . . . had back-to-back 10 strikeout games, May 15 vs. Akron and May 21 at Erie . . . pitched 6-plus innings in 9 of 13 starts . . . promoted to Rochester, June 17 . . . pitched 6-plus innings in 10 consecutive starts, June 20-August 9 . . . played for World Team in Futures Game, July 10 at Detroit . . . did not allow an earned run in 5 of 6 starts, July 14-August 9 . . . named International League Pitcher of the Week, July 18-24 . . . had 7-game win-streak, going 7-0,1.00 (54.0 ip, 6 er) in 8 starts, July 19-August 25 . . . Twins' Minor League Player of the Week, July 23-29 . . . Twins' Minor League Pitcher of the Month for July, going 4-1, 1.03 (35.0 ip, 4 er) with 10 walks and 37 strikeouts in 5 starts . . . named Topp's International League Pitcher of the Month for July . . . had four 10-plus strikeout games, July 29 vs. Charlotte (10), August 4 vs. Buffalo (13), August 20 at Pawtucket (12) and August 30 at Buffalo (10) . . . named International League Pitcher of the Week, August 1-7 . . . named International League Rookie of the Year and USA Today Minor League Player of the Year. . . recalled September 2 . . . made major league debut in relief, September 5 vs. Texas . . . made first career start, September 14 at Detroit . . . recorded first major league win, season-high 7.0 innings and tied season-high 8 strikeouts, September 30 vs. Detroit . . . led all minor league pitchers in strikeouts. Began season at Ft. Myers . . . Florida State League Pitcher of the Week, April 19-25 . . . was 2-1, 1.90 (23.2 ip,5 er) in 4 starts, April 19-May 6 . . . Twins' Minor League Player of the Week, May 22-28 . . . was 1-0, 0.44 (20.2 ip, 1 er)in 3 starts, May 22-June 1 . . . selected to Florida State League All-Star team, June 12 at St. Lucie . . . had 3-game win-streak,going 3-0, 2.21 (20.1ip, 5 er), July 14-24 . . . season-high 12 strikeouts, July 19 at Brevard County . . . pitched 6-plus inningsin 11 of 21 starts . . . promoted to New Britain, August 2 . . . tied season-high 3-game win-streak, going 3-0, 4.00 (18.0ip, 8 er) in 3 starts, August 27-September 6 . . . tied season-high 8.0 innings, September 1 at Harrisburg . . . ranked 11thBest Prospect in Florida State League by Baseball America. Disabled with left lat strain, April 6-May 25 and June 18-September 15 . . . acquired from San Francisco alongwith pitchers Joe Nathan and Boof Bonser in exchange for catcher A.J. Pierzynski, November 14. Disabled with left elbow strain, April 25-May 9 . . . was 2-1, 0.64 (28.0 ip, 2 er) in 5 starts, May 10-June 11 . . .disabled with blister on left hand, May 22-30 . . . named Howe Sportsdata's South Atlantic League Player of the Week,June 7-13 . . . season-high 8.0 innings, June 11 at Charleston . . . season-high 10 strikeouts, July 11 vs. Delmarva . . .disabled with left shoulder strain, July 24-September 19 . . . had .210 (61-291) batting-average-against with lefthandersbatting .203 (14-69) with 2 homers and righthanders batting .212 (47-222) with 4 homers. Began season at AZL Giants . . . season-high 3-game win-streak, July 2-12 . . . was 2-1, 2.81 (16.0 ip, 5 er) in4 starts, August 7-22 . . . was second in league in starts, innings pitched and strikeouts . . . promoted to Salem-Keizer,August 25 . . . tied season-high 6.0 innings and season-high 10 strikeouts, September 4 at Eugene. March 28, 2019 Pittsburgh Pirates selected the contract of LHP Francisco Liriano from Indianapolis Indians. February 4, 2019 Pittsburgh Pirates signed free agent LHP Francisco Liriano to a minor league contract and invited him to spring training. February 4, 2019 LHP Francisco Liriano assigned to Indianapolis Indians. October 29, 2018 LHP Francisco Liriano elected free agency. June 23, 2018 Detroit Tigers activated LHP Francisco Liriano from the 10-day disabled list. June 17, 2018 Detroit Tigers sent LHP Francisco Liriano on a rehab assignment to Toledo Mud Hens. May 30, 2018 Detroit Tigers placed LHP Francisco Liriano on the 10-day disabled list retroactive to May 27, 2018. Right hamstring strain. February 23, 2018 Detroit Tigers signed free agent LHP Francisco Liriano. November 2, 2017 LHP Francisco Liriano elected free agency. August 1, 2017 Houston Astros activated LHP Francisco Liriano. June 2, 2017 Toronto Blue Jays activated LHP Francisco Liriano from the 10-day disabled list. 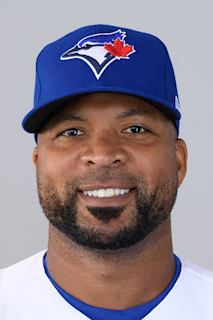 May 28, 2017 Toronto Blue Jays sent LHP Francisco Liriano on a rehab assignment to Buffalo Bisons. May 11, 2017 Toronto Blue Jays placed LHP Francisco Liriano on the 10-day disabled list. Left shoulder inflammation. October 14, 2016 Toronto Blue Jays activated LHP Francisco Liriano from the 7-day disabled list. August 3, 2016 Toronto Blue Jays activated LHP Francisco Liriano. April 13, 2015 Pittsburgh Pirates activated LHP Francisco Liriano from the paternity list. April 11, 2015 Pittsburgh Pirates placed LHP Francisco Liriano on the paternity list. December 12, 2014 Pittsburgh Pirates signed free agent LHP Francisco Liriano. October 30, 2014 LHP Francisco Liriano elected free agency. October 2, 2014 Pittsburgh Pirates activated LHP Francisco Liriano. October 1, 2014 Pittsburgh Pirates reassigned LHP Francisco Liriano to the minor leagues. July 13, 2014 Pittsburgh Pirates activated LHP Francisco Liriano from the 15-day disabled list. July 7, 2014 Pittsburgh Pirates sent LHP Francisco Liriano on a rehab assignment to Indianapolis Indians. May 11, 2013 Pittsburgh Pirates activated LHP Francisco Liriano from the 15-day disabled list. April 25, 2013 Altoona Curve sent LHP Francisco Liriano on a rehab assignment to Indianapolis Indians. April 20, 2013 Francisco Liriano assigned to Altoona Curve from Bradenton Marauders. April 15, 2013 Francisco Liriano roster status changed by Bradenton Marauders. March 31, 2013 Pittsburgh Pirates placed LHP Francisco Liriano on the 15-day disabled list retroactive to March 22, 2013. Fractured right arm. February 8, 2013 Pittsburgh Pirates signed free agent LHP Francisco Liriano. November 3, 2012 LHP Francisco Liriano elected free agency. July 30, 2012 Chicago White Sox activated LHP Francisco Liriano. February 2, 2012 LHP Francisco Liriano assigned to Dominican Republic. September 16, 2011 Francisco Liriano roster status changed by Minnesota Twins. August 26, 2011 Minnesota Twins placed LHP Francisco Liriano on the 15-day disabled list. Left shoulder strain. June 7, 2011 Minnesota Twins activated LHP Francisco Liriano from the 15-day disabled list. September 9, 2009 Minnesota Twins activated LHP Francisco Liriano from the 15-day disabled list. August 18, 2009 Minnesota Twins placed LHP Francisco Liriano on the 15-day disabled list. Left arm fatigue. August 8, 2006 Minnesota Twins placed LHP Francisco Liriano on the 15-day disabled list.